Become LEGO City's Finest – Assume the identity of undercover police officer, Chase McCain, and track down the fiendish Rex Fury to finally put an end to his city-wide crime wave. Join the Chase! 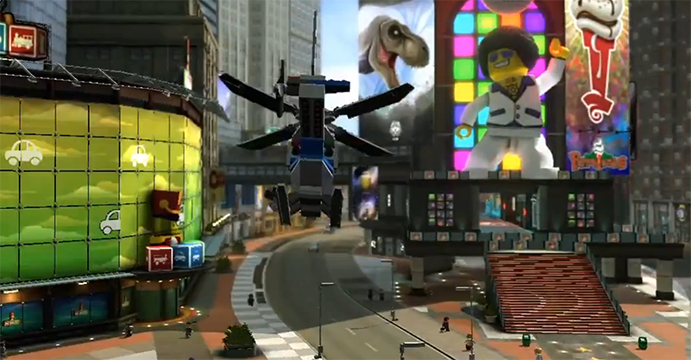 LEGO City Undercover is coming to current and new generation consoles for the first time. In one of the most expansive LEGO videogames to date, players become Chase McCain, a police officer who goes undercover to hunt down the notorious – and recently escaped – criminal, Rex Fury, to put an end to his city-wide crime wave. This open-world LEGO adventure allows fans and newcomers to explore the sprawling metropolis that is LEGO City with more than 20 unique districts to investigate, filled with car thieves to bust, vehicles to navigate, mischievous aliens to capture, hilarious movie references to discover, lost pigs to rescue and of course, hundreds of collectibles. With 15 special assignments to conquer, LEGO City Undercover brings together witty, original storytelling with signature LEGO humor to create a fun-filled experience for players of all ages.